Frame Vernacular. 1 story. The first railroad to reach Mount Dora was in 1886, when a line connected it to Jacksonville and Tampa. 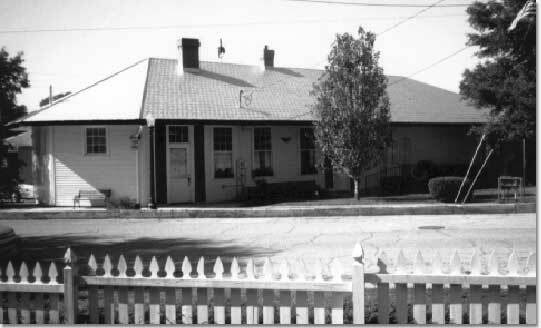 The Mount Dora depot cost $8,223 to build. The last passenger train left Mount Dora in 1950 and freight was discontinued in 1973. The train was operated as a popular tourist attraction for many years.